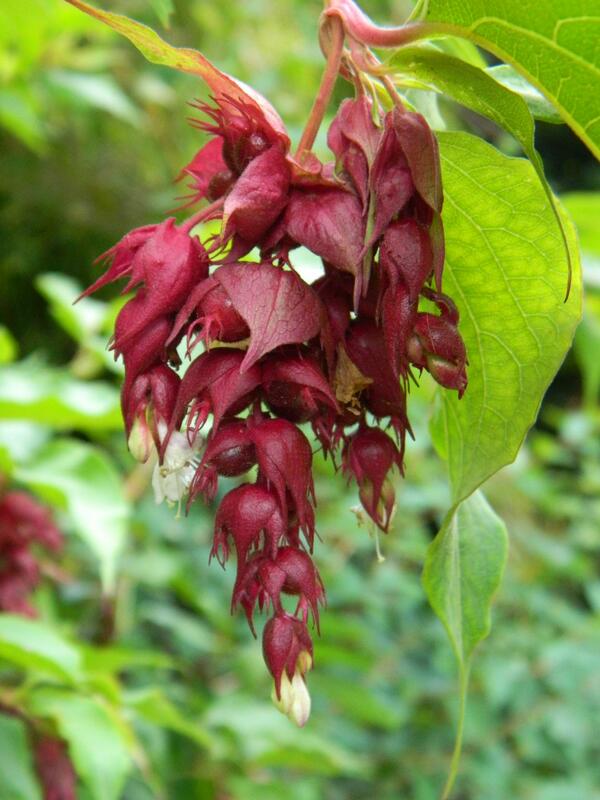 Leycesteria formosa is also known as Himalayan Honeysuckle, nutmeg bush, Himalayan nutmeg or even pheasant berry. 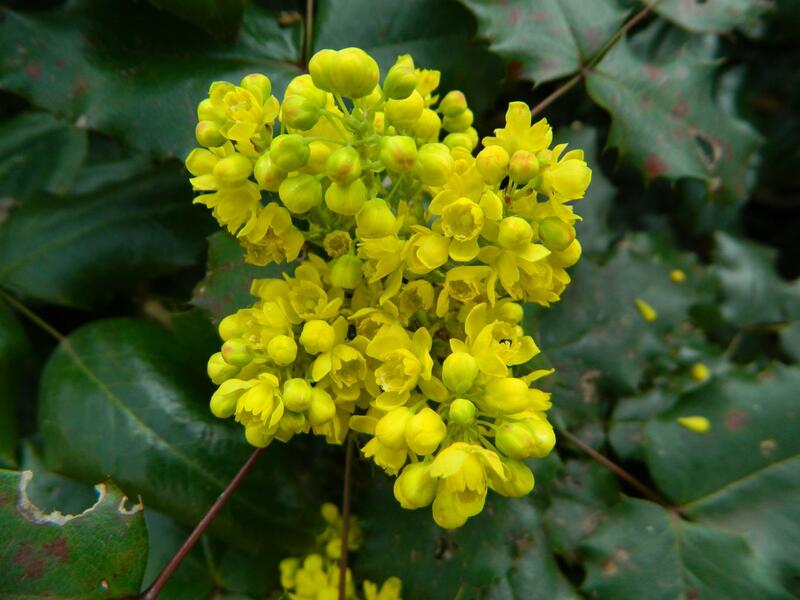 It is a beautiful leafy shrub, which is deciduous. 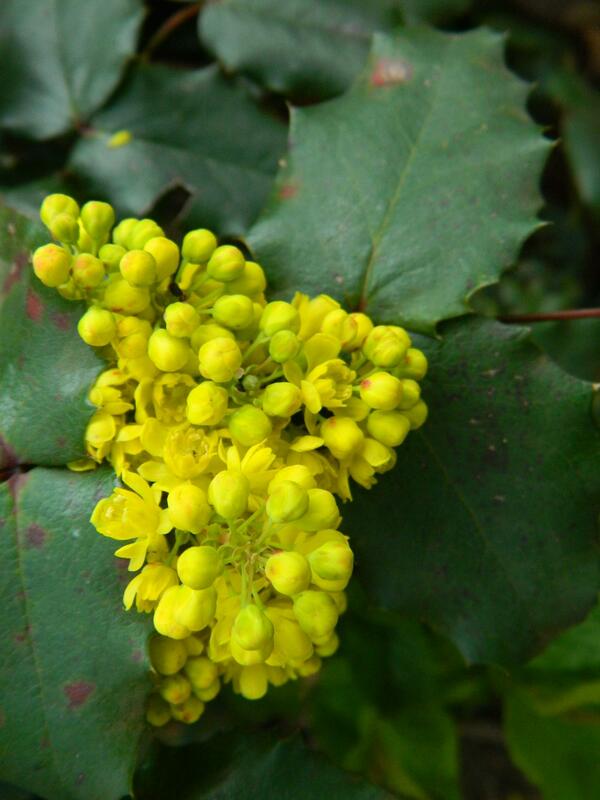 It belongs to the family Caprifoliaceae, native to the Himalaya and southwestern China. 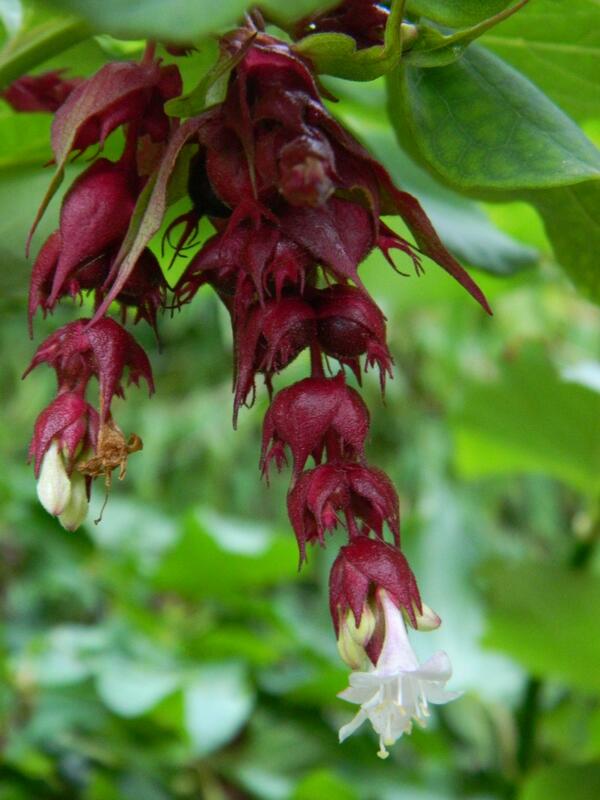 Though they are beautiful with their very striking berries laden crimson flowers, these plants are becoming a nuisance to some countries. They can be rather invasive. They can pop up anywhere very unexpectedly. They grow where their berries fall. The main culprits of the rather ‘locomotive’ property of this shrub are birds who are attracted by the deep purple berries hanging attractively in clusters. The last photo of the series is our own Fatsia Japonica growing in a pot by our back door. 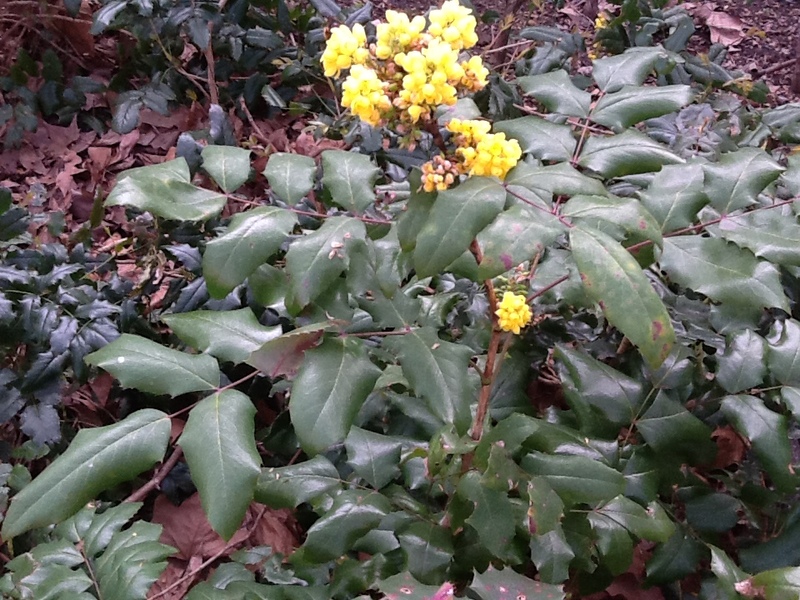 This beautiful shrub is evergreen and a native of Southern Japan and South Korea. I am afraid those luscious looking juicy berries are toxic. Must not eat or try them for taste. Remember to keep away your nousy toddler from them and also your pets. Fatsia Japonica is a very lovely plant to have in the garden because of its rather large elaborate green leaves, then tiny little white flowers, followed by those plump dark purple berries. 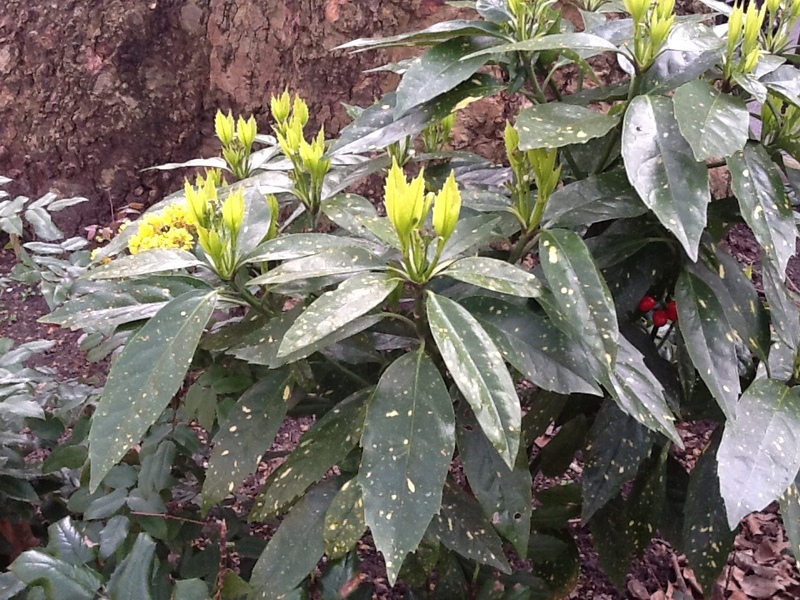 We have a couple of this plant in our garden which we planted in tubs. 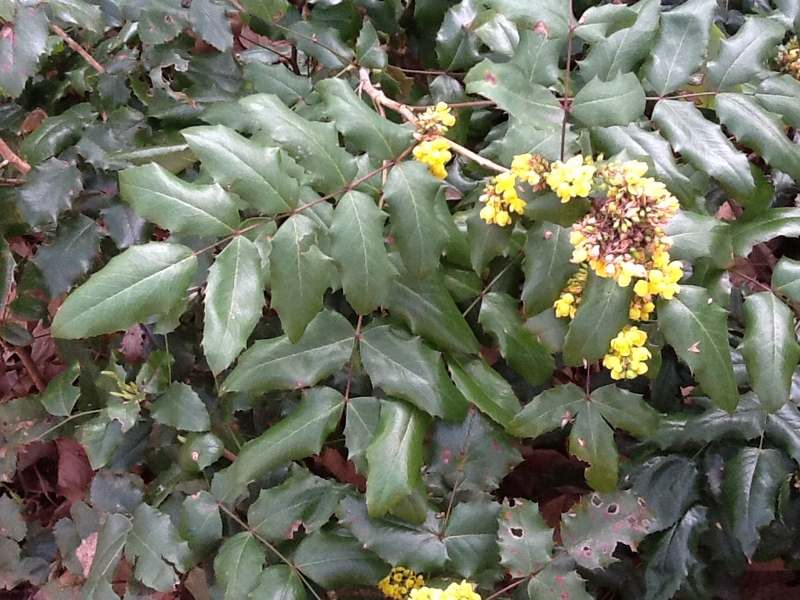 They are currently in blooms as can be seen on the above photographs. Pieris Japonica belongs to the heather family called Ericaceae. 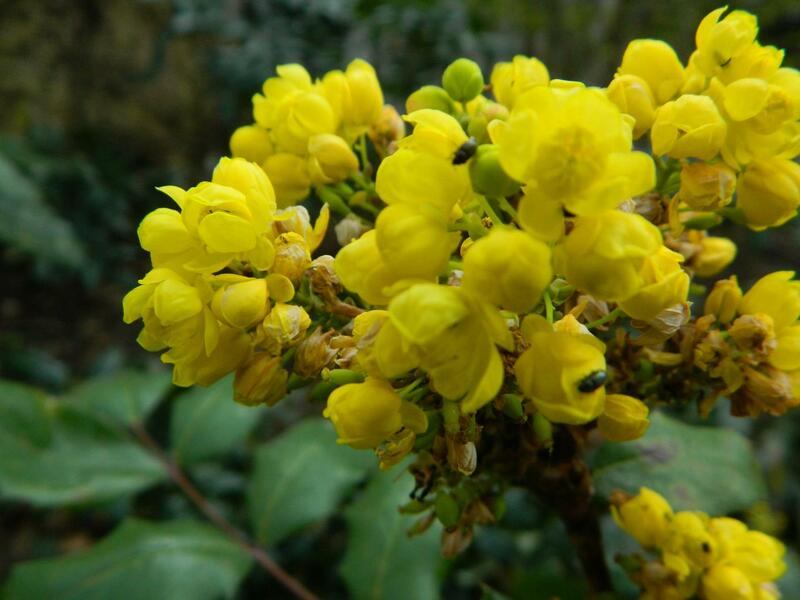 They are a native of the eastern part of China, Taiwan and Japan and lucky us, they grow healthily and profusely in British gardens whether planted directly on the ground or make a statement by putting them in ceramic or earthenware tubs as a centrepiece to the garden in spring. 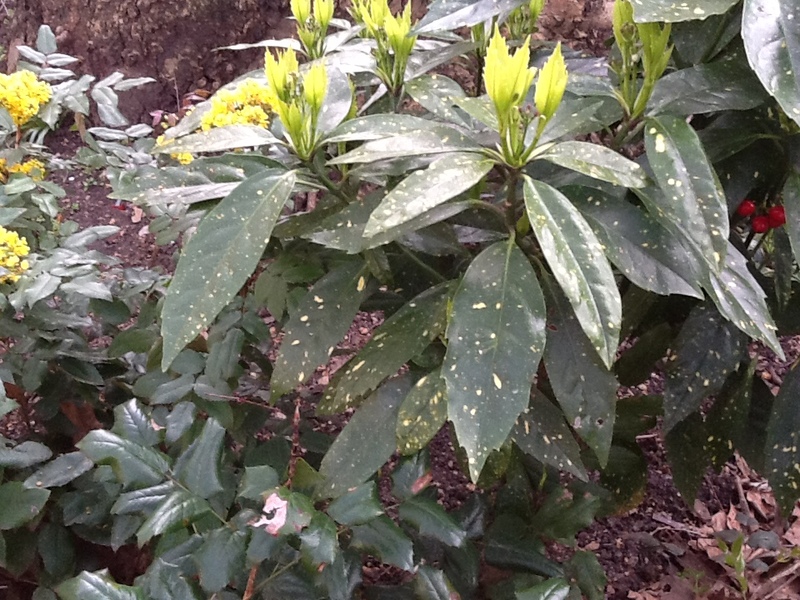 Pieris Japonica flowers in early spring. The blooms looks like a string of little lanterns. They are quite beautiful. I love this shrub. We used to grow it in a huge tub and it was absolutely gorgeous. 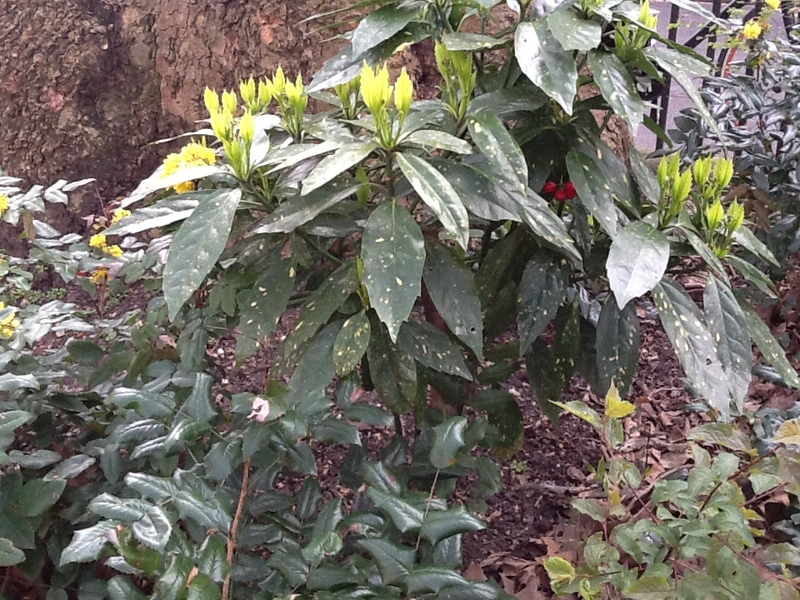 The young leaves are red and changed into different shades until it matures into a green colour. During spring it grows an abundant spray of white, starlike flowers. This shrub is water loving and will grow fast. That was the reason we decided to dig it into the ground near the fence, we thought it will get more water in the ground rather than continually drying up in a pot. When not watered, the beautiful shiny leaves tend to fall. This shrub is perfect as bush. They are becoming popular as a form of hedges. They grow fast as well as they provide a colourful backdrop for the garden. If the photinia is left unpruned, it can grow as tall as 10 feet.